Let's face it. I am damn lucky. When I need to clear my mind, reconnect with my spirit, or just find a 'moment' of peaceful easy feelin'..I walk across the Goldenrod Footbridge to Look Out Point and see THIS. In this view you are gazing across over to the West Jetty (Newport Harbor) at Balboa Peninsula and the world famous "Wedge" bodysurfing spot. 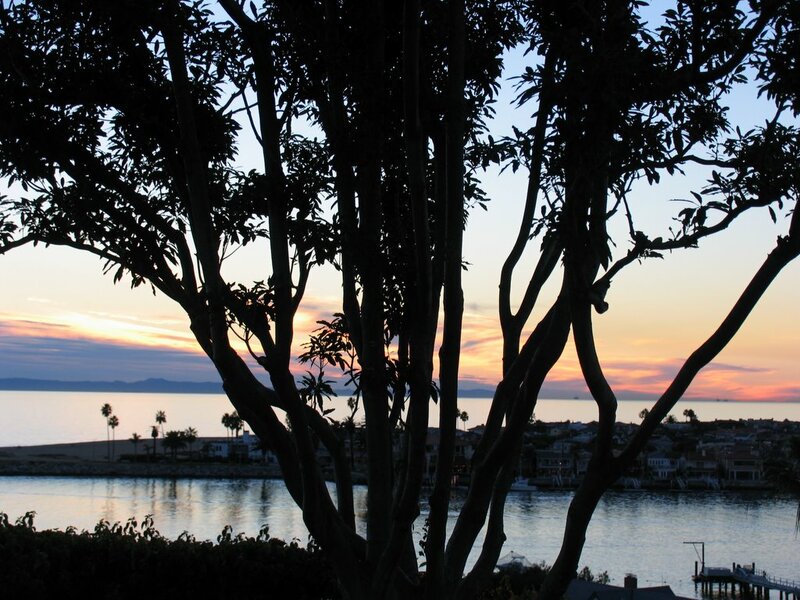 On the horizon you see Santa Catalina Island ablaze at sunset over the Pacific. My family and I spent many weekends on Santa Catalina Island growing up --- memories I cherish. I saw the photo and I thought "Wow, where's that at?" I really need to get out. What a gorgeous picture, Jolene! Looks more like some undeveloped environs--not here in the thick of it. Barbara, we live in Paradise...no?